Fluid Construction Grammar can be downloaded as part of the Babel software toolkit. Apart from FCG, Babel also includes modules procedural semantic processing, multi-agent learning and robotic embodiment. For more information on downloading Babel, click here ! The journal of Constructions and Frames has published a special issue (2017, 9(2)) on approaches to the Verb Phrase in Fluid Construction Grammar with examples for Dutch, English, Spanish and Russian. The complete issue can be found on the publisher’s website. 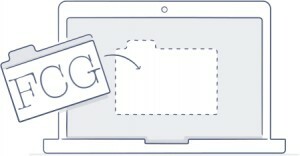 Every paper is accompanied by a web demonstration, which are made available on the demos page. Natural language processing is one of the most challenging and important areas in Artificial Intelligence and Machine Learning. At Sony CSL Paris, we have pioneered new language technologies based on “constructional” language processing for achieving deep semantic analyses and bidirectional grammars for language production and comprehension. You will earn a competitive salary and get to work in the heart of Paris (5th arrondissement). Extra benefits include meal vouchers, 50% reimbursement of your public transport subscription, and an attractive health insurance contract. Sony CSL Paris was founded in 1996 and is a small but booming research cell, focusing on the following areas: personal music experience, developmental cognitive robots, self-organizing communication systems, and sustainable environment simulation. Sony Computer Science Laboratory is engaged in several European projects such as FLOW MACHINES, PRAISE, IDGF, LRN2CRE8 and other projects. Research in Personal Music Experience focuses on the future of musical listening by building prototypes of interactive devices and ethnographic experiments to see what people find exciting in music and how new ways of listening integrate in their lives. Research in Language is dedicated to constructional language processing and self-organising communication systems. Constructional language processing is a novel approach to the production and comprehension of language that based on rich semantics and a powerful data structure called “constructions”. Research in self-organizing communication systems investigates through computational simulations and mathematical models how a group of autonomous agents/robots could be able to invent and negotiate a communication system similar to human natural languages. How to build a sustainable society has recently become a major issue as natural resources get depleted and climate change is of great concern. Sony CSL Paris has launched a number of projects to raise awareness about the issues through volunteer computing and participatory food production. Sony CSL Paris plays a leading role in the areas it has chosen to be active in. It produces a steady stream of papers in the most prestigious journals and conferences. The lab is viewed as highly innovative and plays a leading role in European IT research. Candidates should send their cv and motivation letter to Dr Remi van Trijp (remi@csl.sony.fr) before 28 June 2017. The contract starts 1 september 2017. 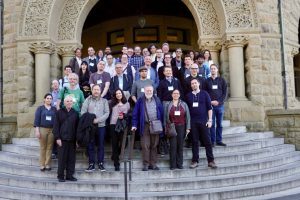 All the participants of the AAAI Spring Symposium on computational construction grammar and natural language understanding. As part of the SONY CSL Paris open day on October 27th, we will be demonstrating the latest features and applications of Fluid Construction Grammar. In particular, we are proud to debut two important new developments in FCG. Firstly, FCG Interactive, a web application that gives you the power of FCG from your own web browser, is live and in its beta release. Secondly, our first large scale English grammar, developed by Remi Van Trijp, will be available on FCG Interactive. On the FCG application side of things, we will demonstrate how FCG can be used to solve challenging English-Japanese machine translation. This takes the form of a live, multi-lingual, chat room translation demo. The ‘Constructional Language Processing’ and ‘Participative multi-user multi-language chat room’ demos will be running from 15:00 – 20:00. Registration is free and the event is open to everyone, so please do come along.